The Lannisters Vs the Windors for the ultimate party game show down. Part of our Christmas Crackers Christmas Range, this Game of Thrones Christmas Card is ideal for the Westeros fanatic in your life. 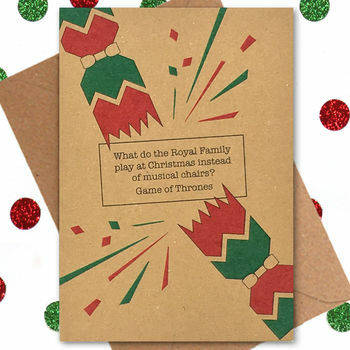 This funny Christmas card is accompanied with a matching kraft envelope. It's then sealed in a cellophane sleeve and sent out to you in a board backed envelope to prevent damage in transit. The card is left blank inside for your own message or can have a personal message printed on the inside. 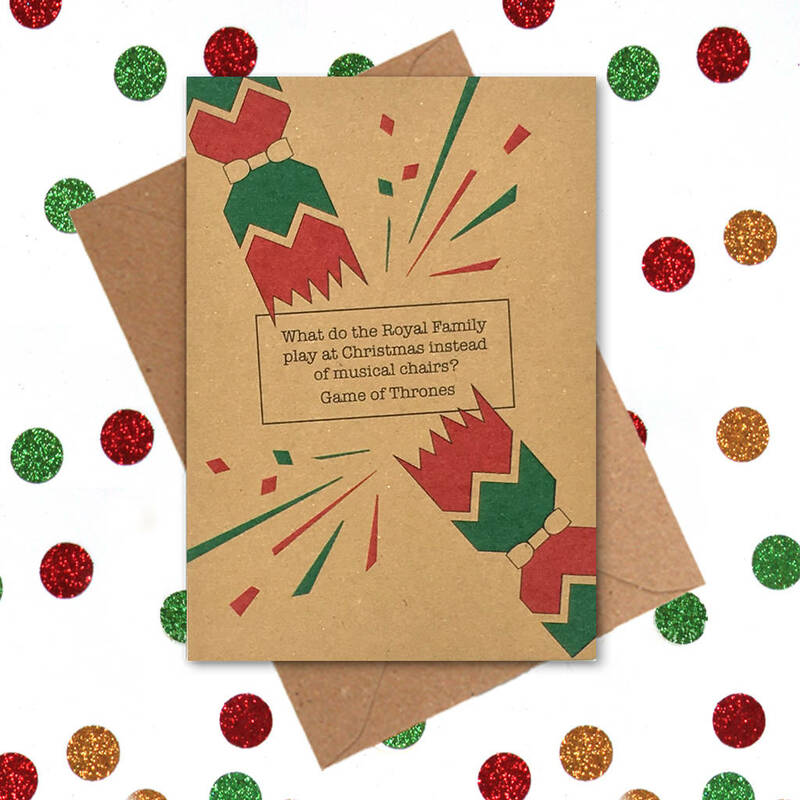 Printed on premium 350gsm Kraft board with a matching kraft envelope. This product is dispatched to you by Bettie Confetti.